Thank you very much, Mayhem. 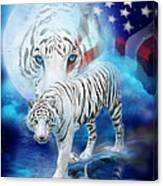 White Tiger Moon within your heart so true beats the spirit of red, white, and blue. 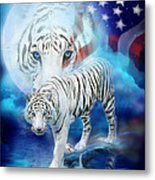 This artwork of a white tiger, with a larger tiger head in a big white moon, with an American Flag flowing into the moon and tiger, is from the Patriotic Collection of art by Carol Cavalaris. 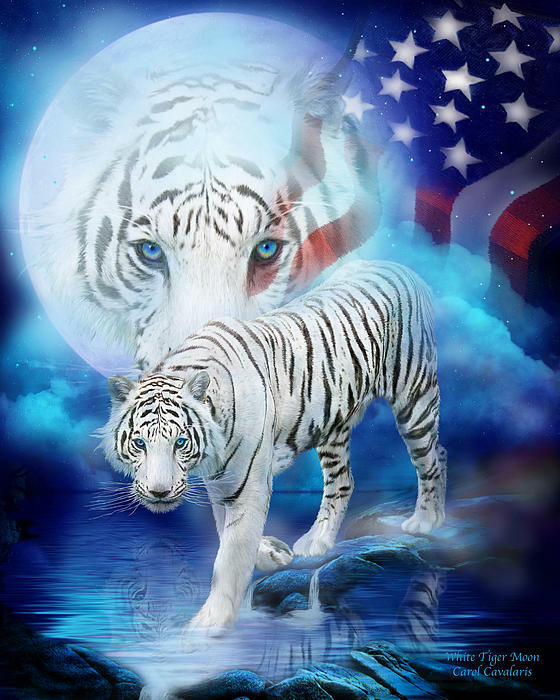 This artwork is also available without the flag.